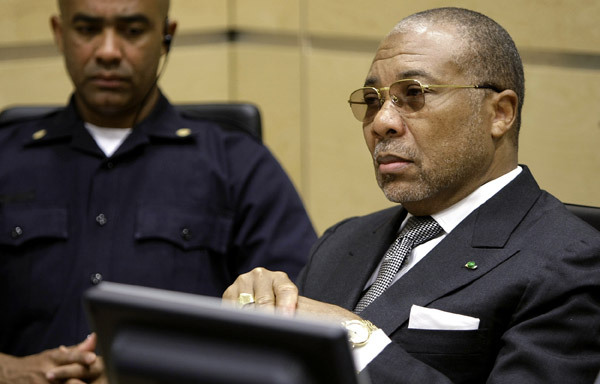 Charles Taylor's defense lawyers have made a request for judges to allow the former Liberian president to reopen his defense, almost one year after arguments in the case were concluded. The motion, filed on January 31, 2012, requests that the defense be allowed to "re-open its case in order to seek admission of Panel of Experts Report on Liberia." 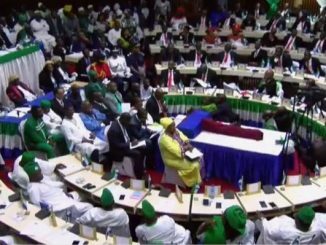 The motion relates to a December 7, 2011 Panel of Experts Report on Liberia that discusses the participation of Liberian mercenaries in the conflict in neighboring Ivory Coast. Taylor's defense lawyers seek to submit in evidence Section III of the report titled "Liberian Mercenaries and Ivorian Militia." This section, defense lawyers argue "describes the continuing phenomenon and underlying causes of mercenary activities in West Africa." According to defense lawyers, this section of the report supports the defense "private enterprise" theory that during Sierra Leone's 11 year conflict, many fighters in Liberia exploited the conflict for personal gain. The report, defense lawyers say, does not blame the current Liberian government for Liberian mercenaries crossing into Ivory Coast in 2010 and 2011 and this, they say, contrasts the Prosecution's argument that any fighters who fought in Sierra Leone and other neighboring countries were sent and controlled by Taylor while he served as Liberian president. During the conduct of hearings in Taylor's trial, witnesses, including those who were part of Taylor's security apparatus, testified for the prosecution that the former Liberian president sent them to provide support to rebel forces in Sierra Leone. Some witnesses also testified about being sent by Taylor to fight in Ivory Coast and Guinea. Taylor, on his part, argued that porous borders in the West African sub-region and the illicit flow of small arms made it very easy for fighters to move across borders without being controlled by any persons in authority. Taylor's defense also argued during the trial that Liberian fighters who fought in Sierra Leone did so only for their own personal gain and as President of Liberia, Taylor did not have any knowledge of such movement of Liberian fighters into Sierra Leone. In this present motion, Taylor's defense lawyers now argue this report supports their argument that during the Sierra Leonean conflict, it was possible for fighters to cross from Liberia into Sierra Leone "without being under the direction and control of Mr. Taylor and without the implicit approval of the Government of Liberia." "Additionally…free agents or mercenaries did so in pursuit of personal profit, rather than in furtherance of a sweeping joint criminal enterprise or aiding and abetting scheme," defense lawyers have submitted. 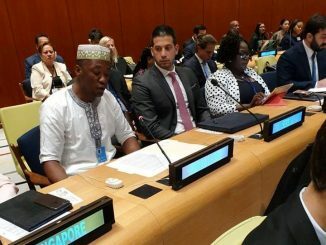 Defense lawyers pointed out in their motion that the UN Report specifically names Ibrahim Bah, Benjamin Yeaten, Zig Zag Marzah and Sweet Candy" as persons involved in mercenary activities in Ivory Coast. These individuals, defense lawyers say, are continuing to exploit conflict situations in the West African sub-region for personal benefit. 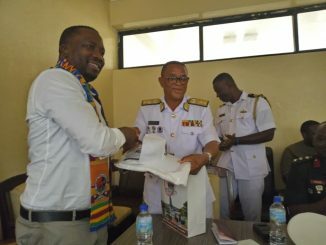 Of particular note, "the fact that Prosecution Witness Zig Zag Marzah has participated in the Ivorian Conflict as a free agent is particularly relevant to his overall credibility – on the witness stand, he seemed unable to act unless he was instructed to do so by Mr. Taylor," the defense motion states. 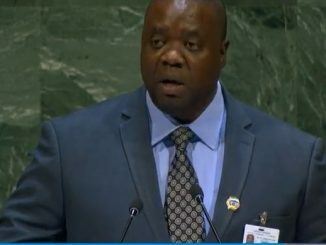 Defense lawyers now say this report establishes that mercenaries can easily move between Liberia and Ivory Coast without being intercepted by the Liberian government, that command structures in mercenary activities are loosely defined, and that the present Liberian government has demonstrated inadequate response tomercenary activities. In asking judges to allow them to reopen their case, defense lawyers for Taylor argue that the present report be admitted in evidence because it could not have been obtained by the team during the conduct of its case considering that it was only presented to the UN Security Council in December 2011. They argue further that the probative value of the report is significant and that it poses no threat or concerns toTaylor's rights to a fair and expeditious trial. This is the second time in two months that defense lawyers for Mr. Taylor have requested that the former Liberian president be allowed to reopen his defense in view of new evidence. On December 9, 2011, Taylor's defense lawyers made a similar request after the release of two WikiLeaks cables suggesting that there was cooperation between former Nigerian President Olusegun Obasanjo and the United States Government to remove Taylor from Liberia with promise of asylum and immunity from prosecution if he were to leave willingly and that Obasanjo provided support to Liberian rebels who were fighting to oust Taylor from Liberia. The judges, however, on December 21, 2011 rejected the defense application. With the most recent application that has been made by the defense, the prosecution will have a chance to file a response, with an option to the defense to file a reply before the judges issue a decision on the motion. Judges have taken several months since the conclusion of hearings in March 2011 to prepare their final judgment, which will determine whether Taylor is guilty or not of the charges against him. It is expected that such judgment will be delivered shortly.